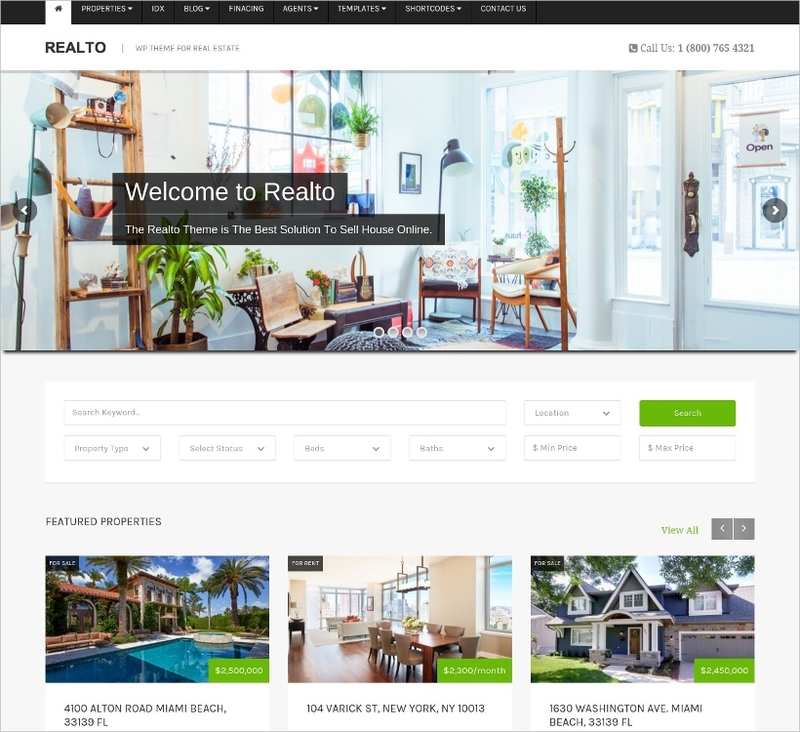 Real estate themes are a combination of display photography, informational and at times, transactional as well. 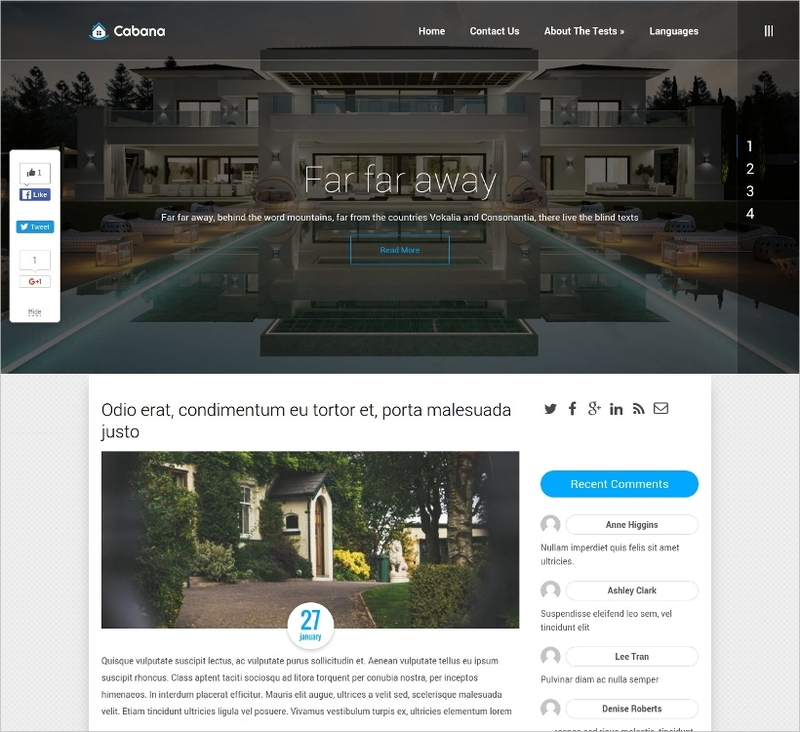 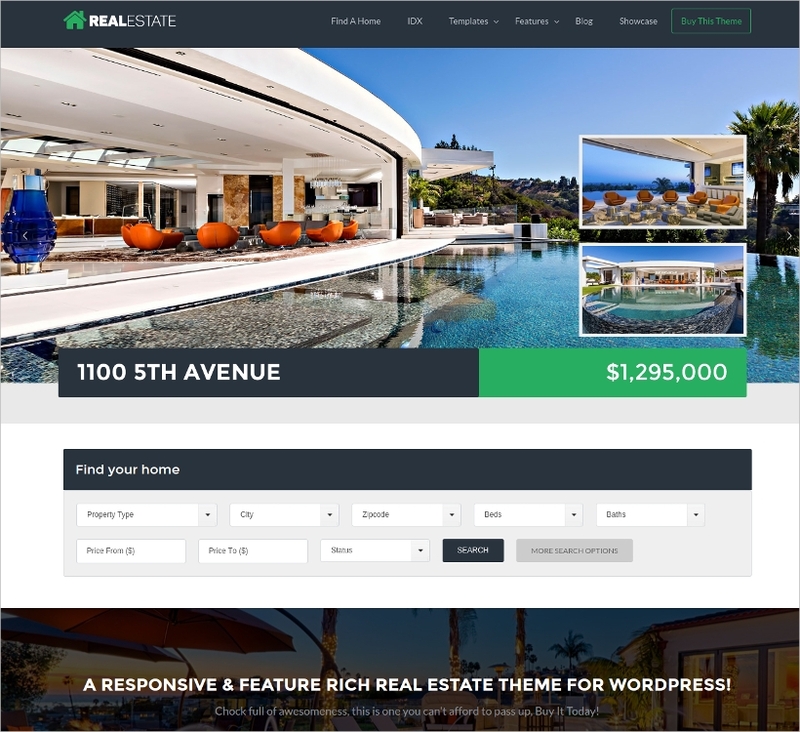 There are free WordPress real estate themes which are uploaded on the web which can be readily used and imported into real estate websites. 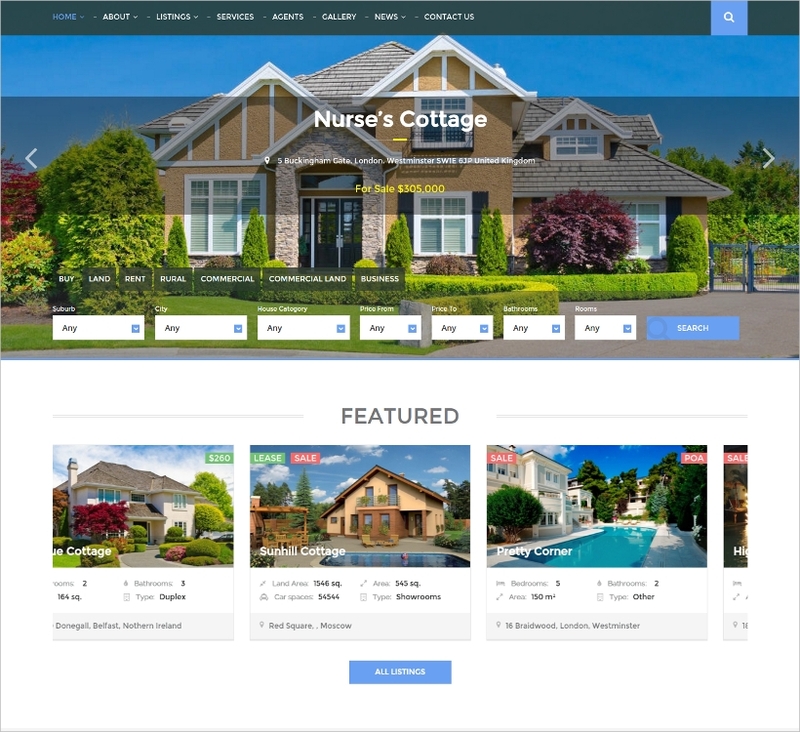 These themes portray the picturesque images of the real estate project and the scenic beauty of the surrounding terrain. 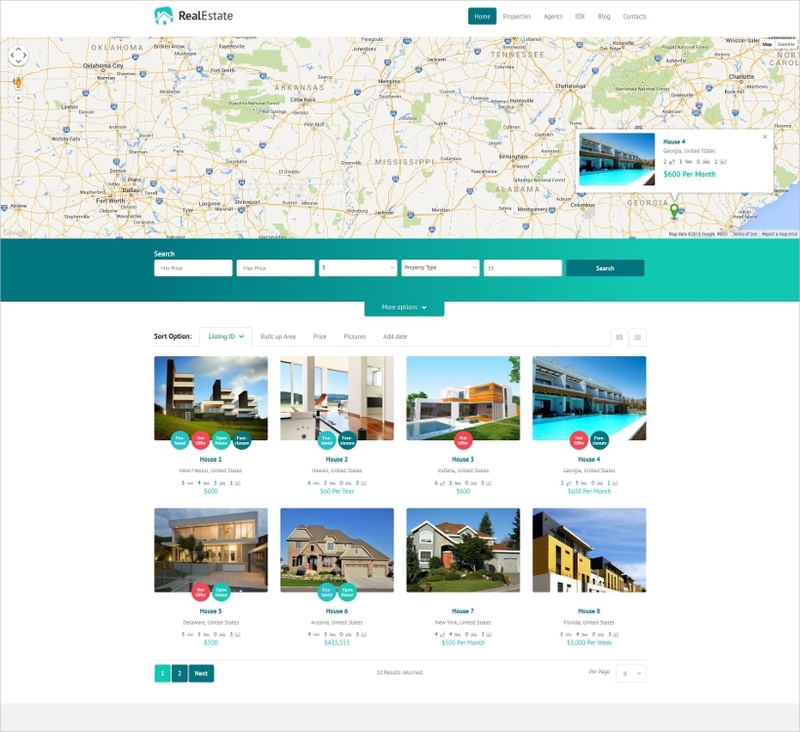 In addition to that, there should be space for informational content on the builder and past projects to ensure credibility. 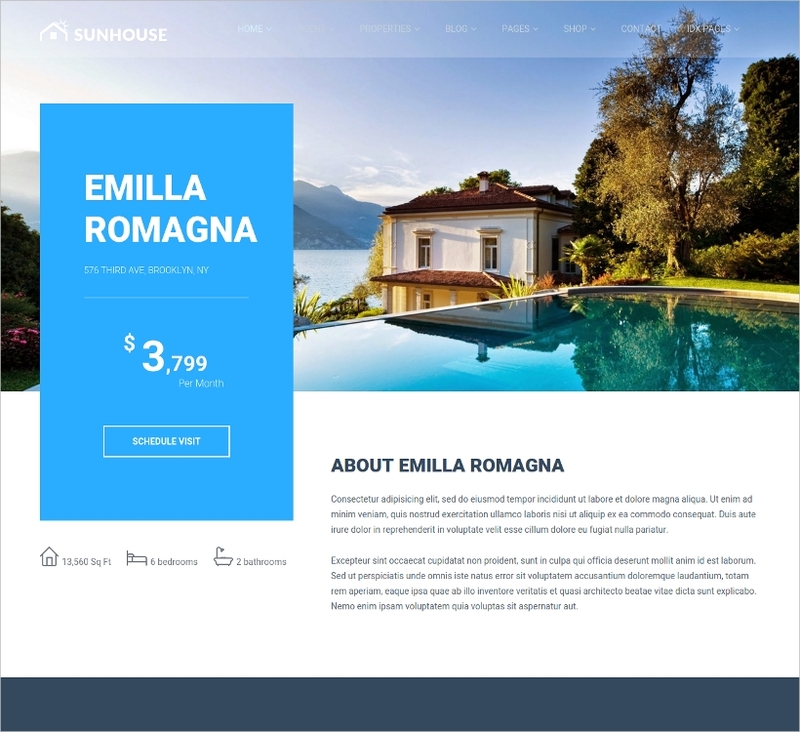 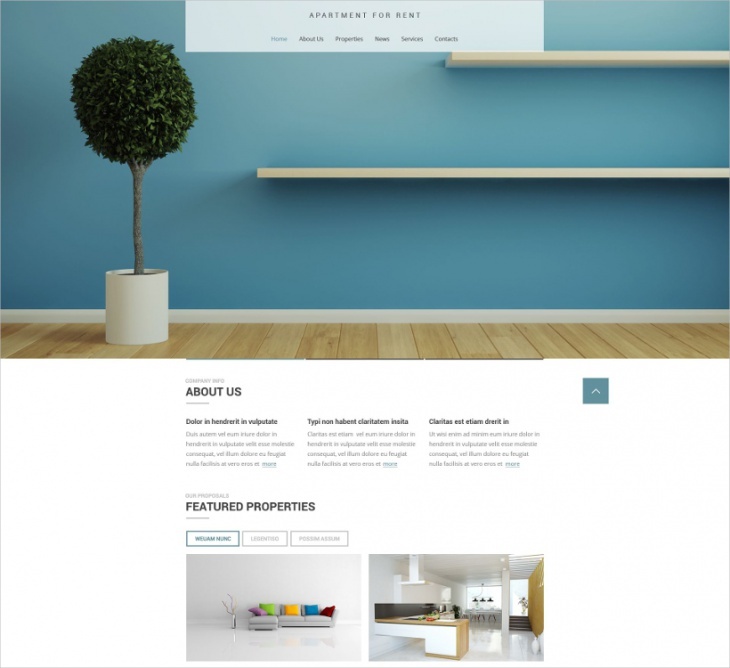 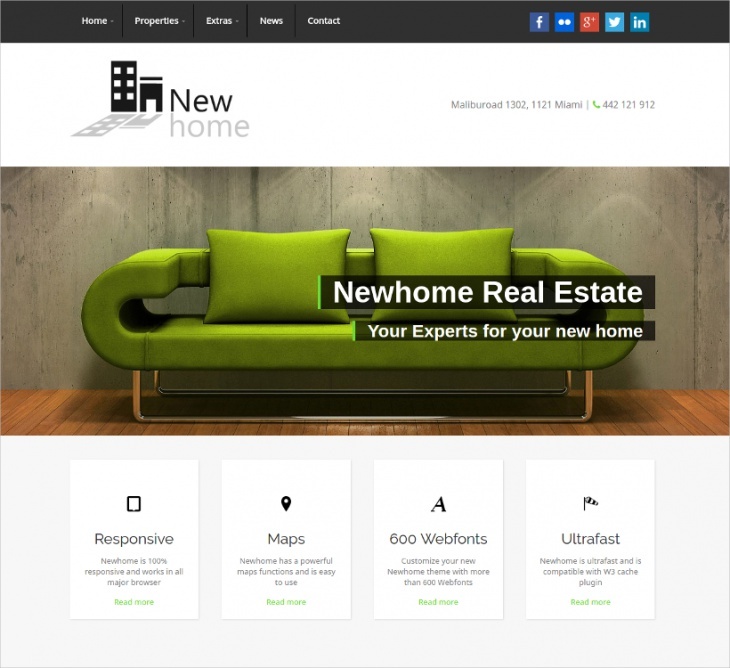 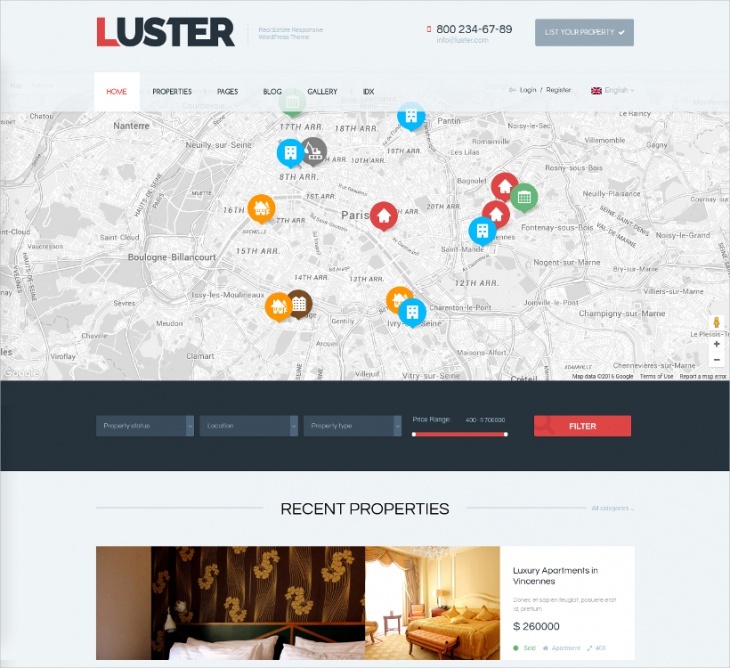 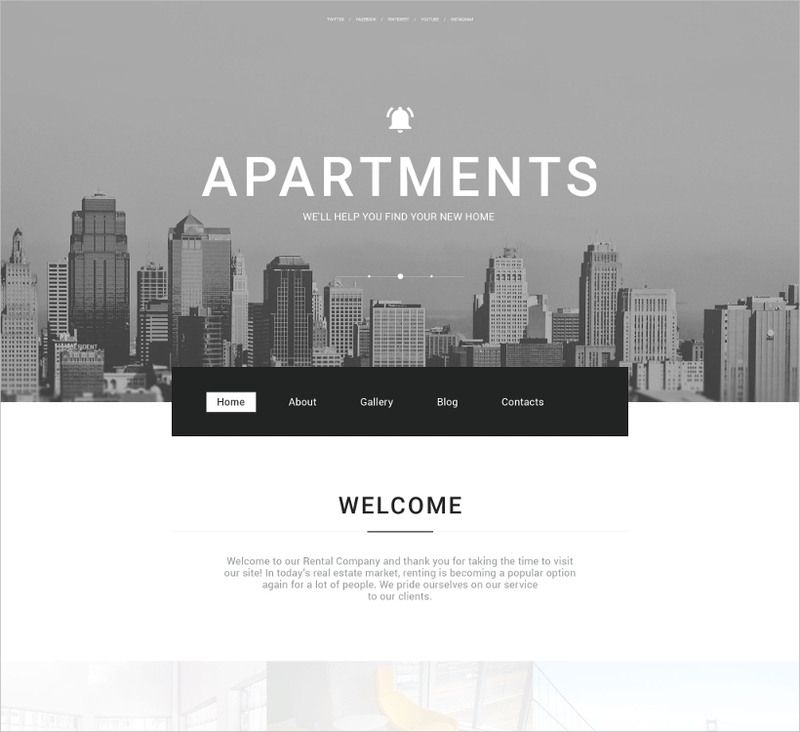 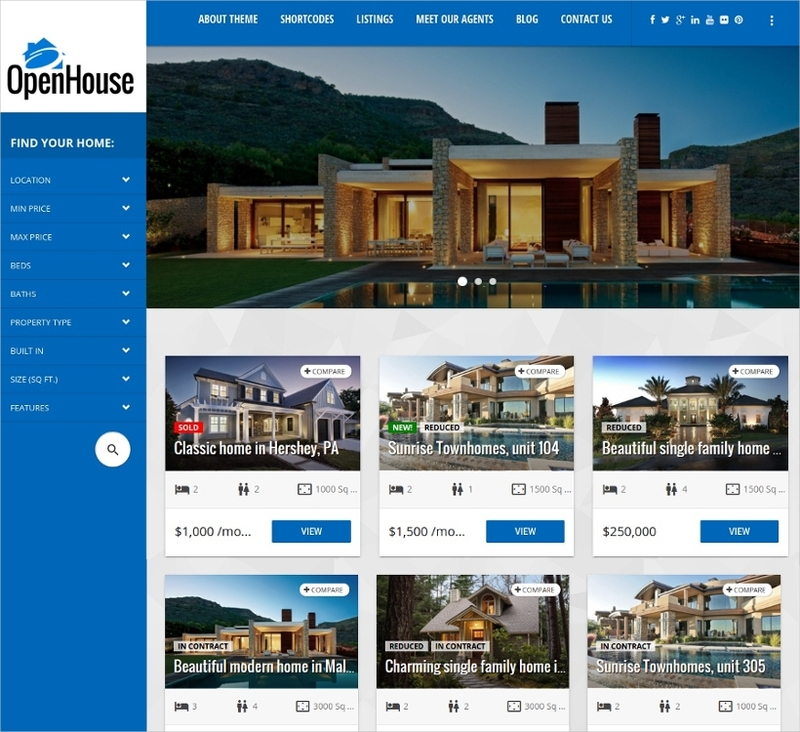 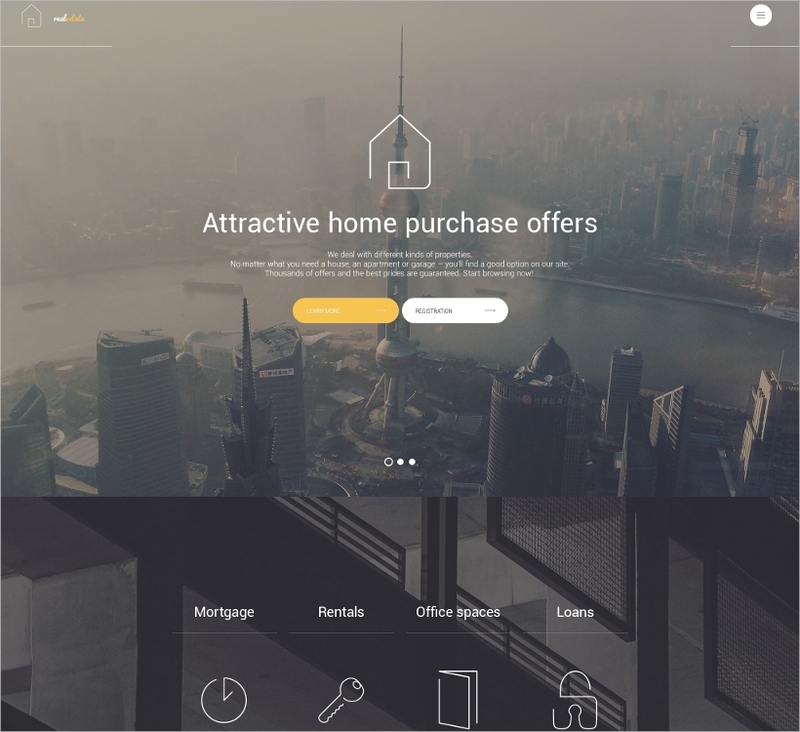 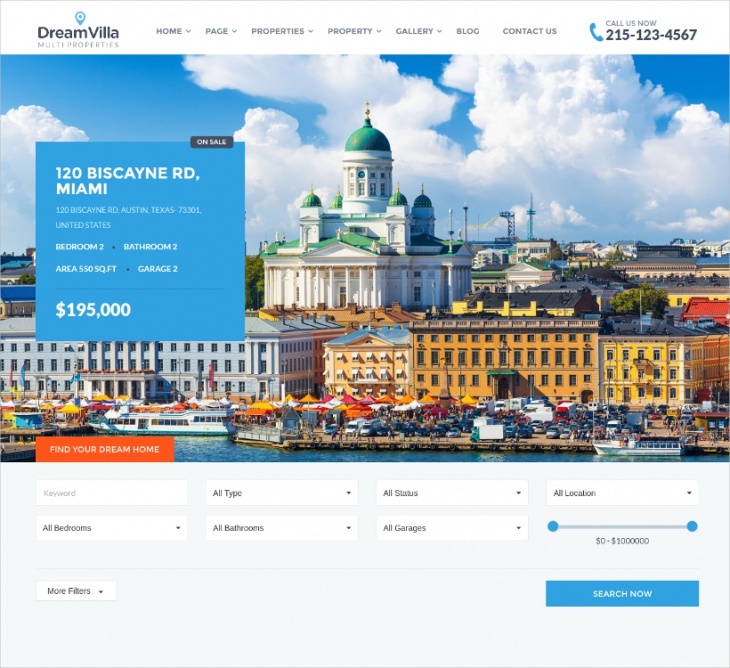 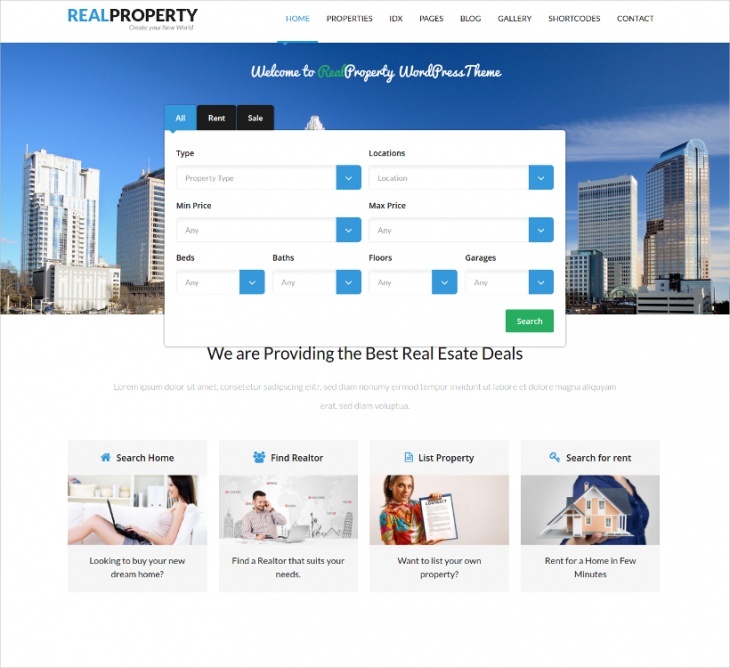 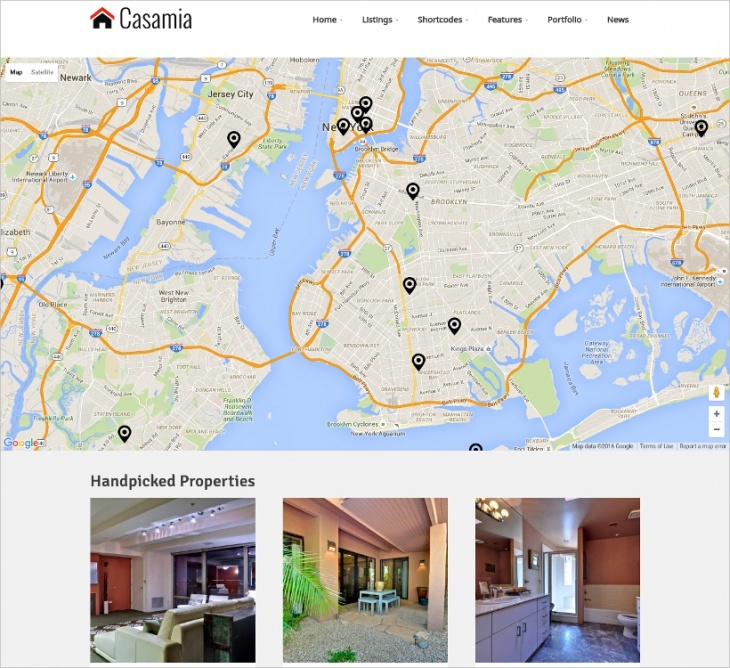 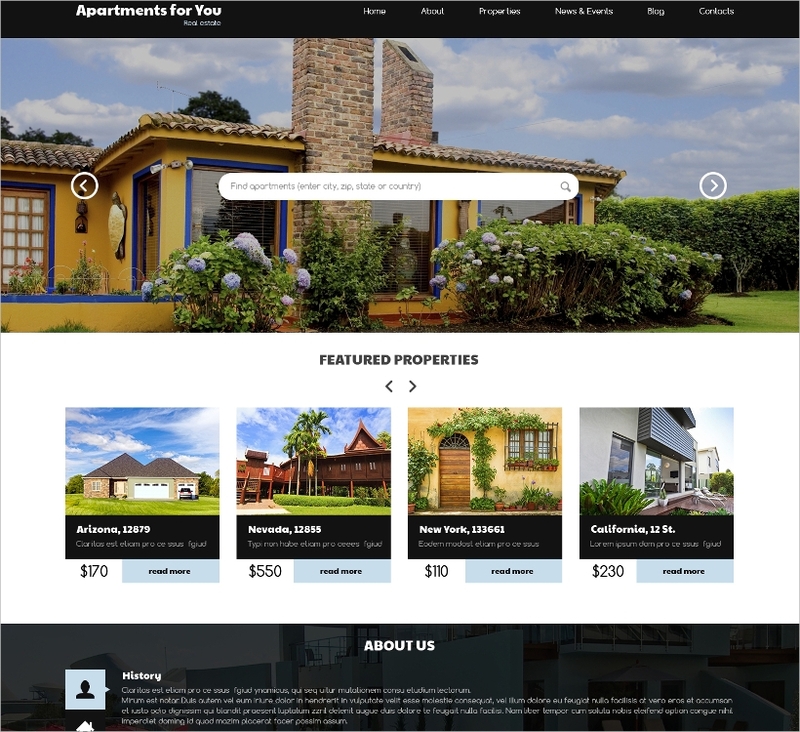 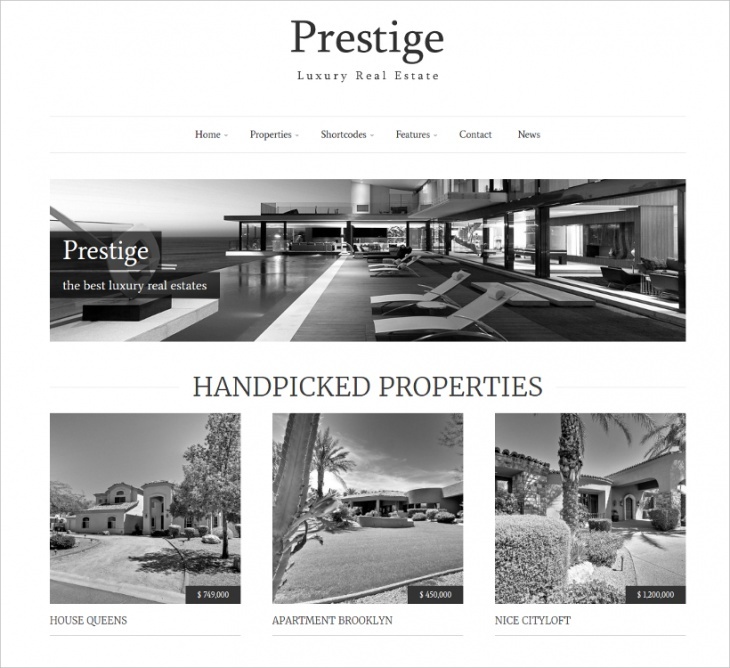 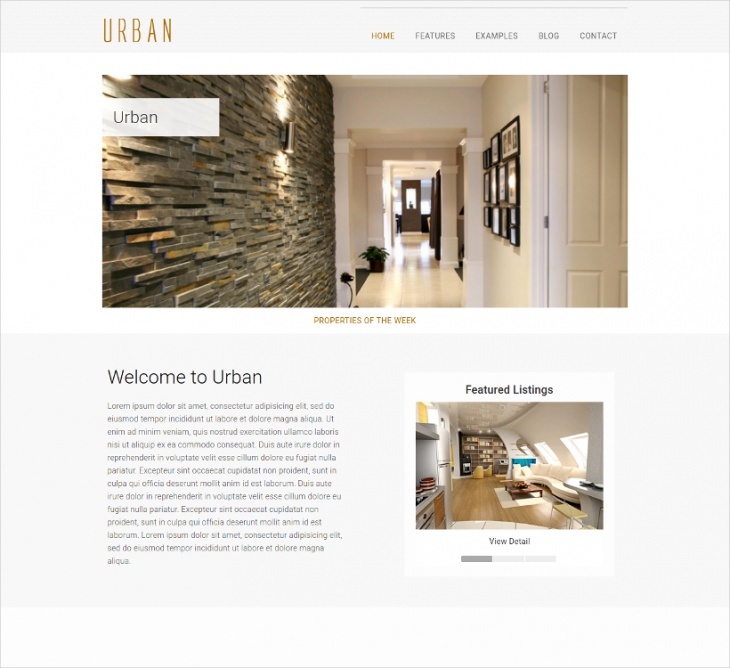 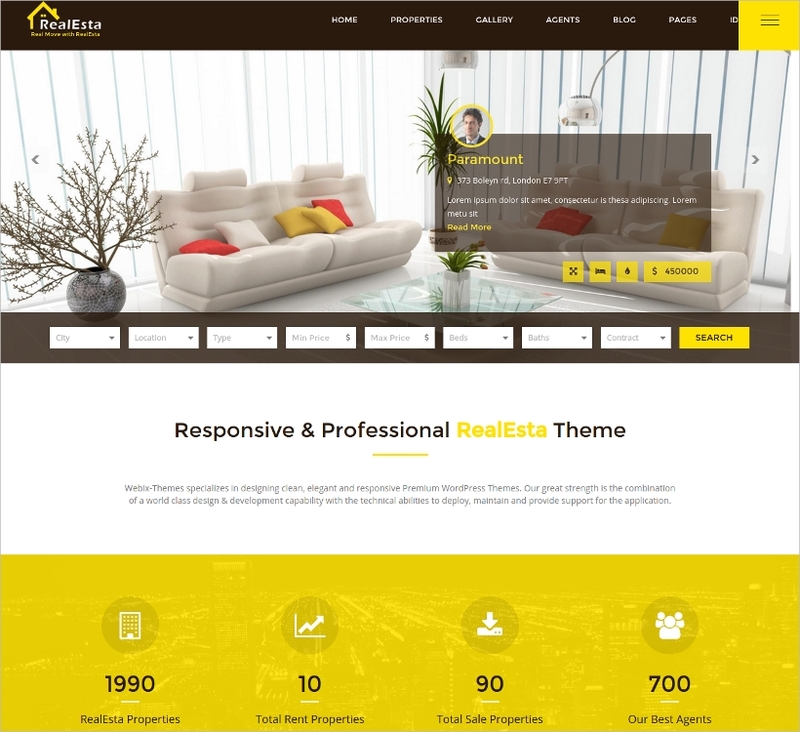 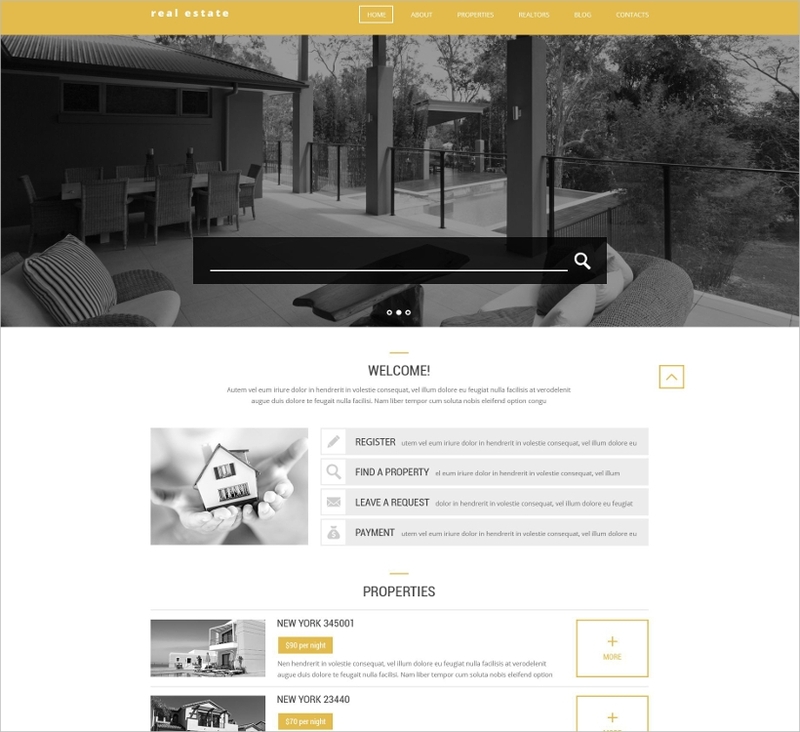 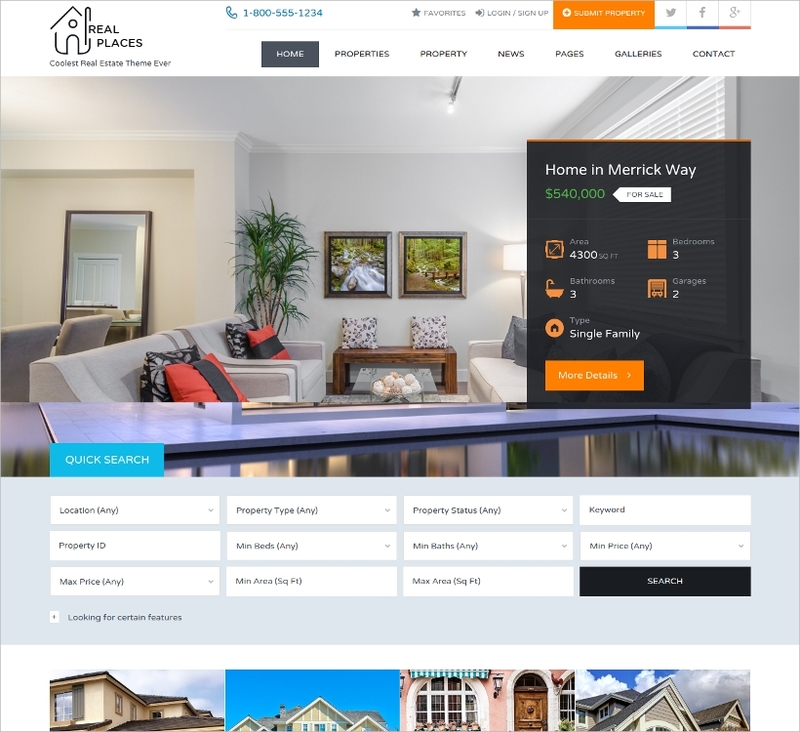 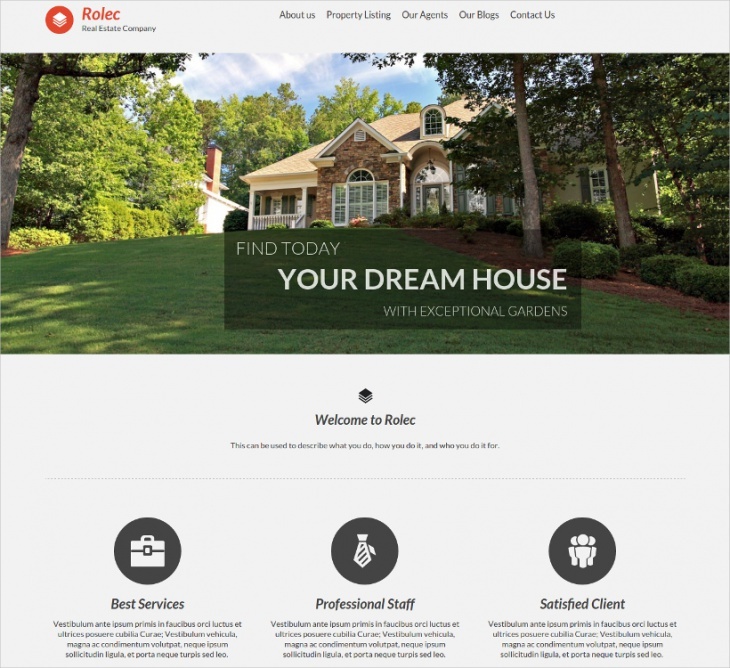 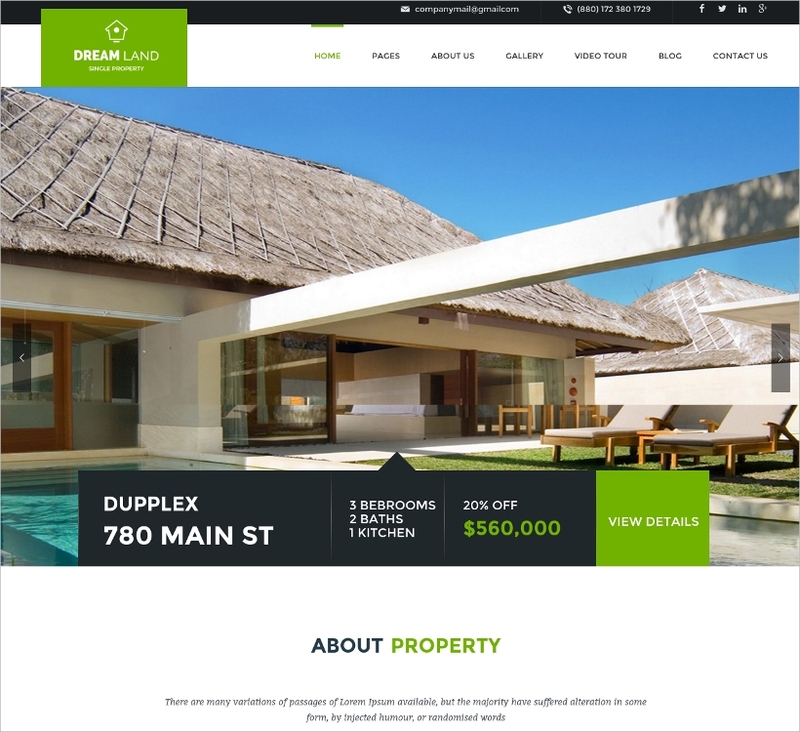 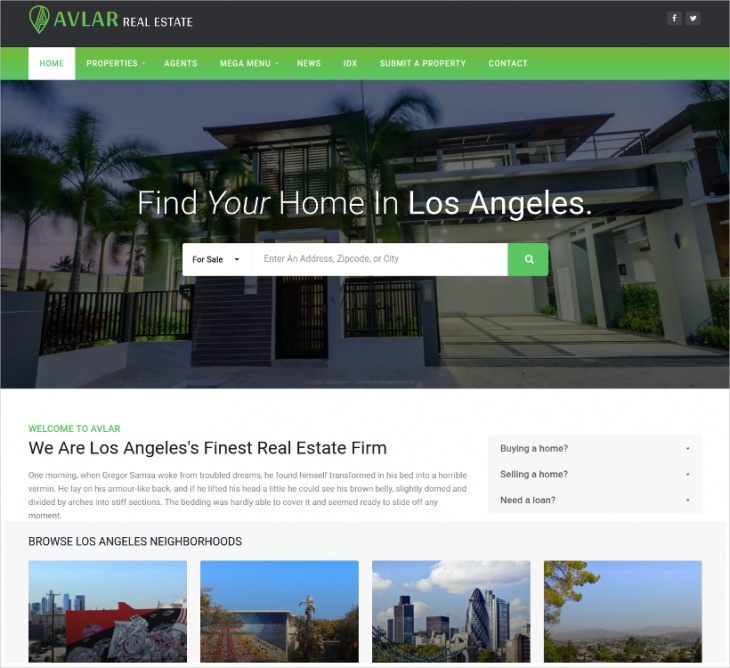 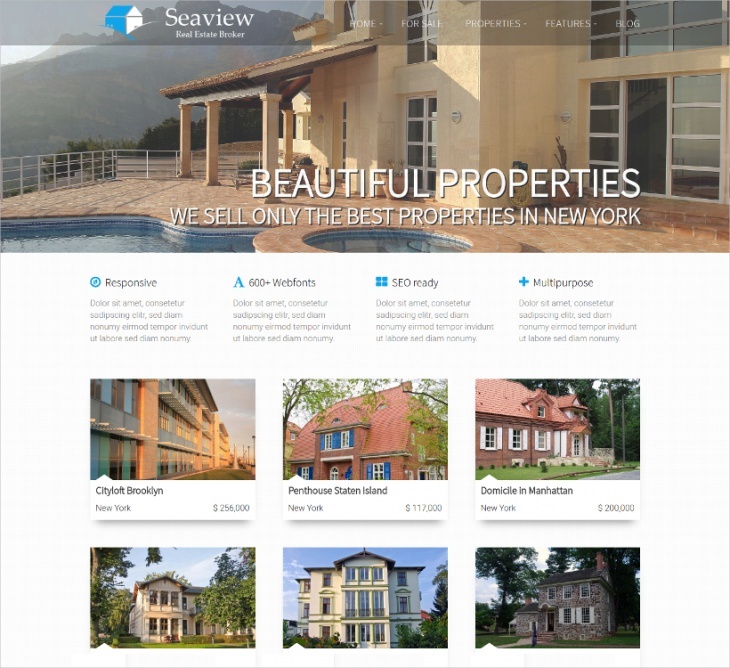 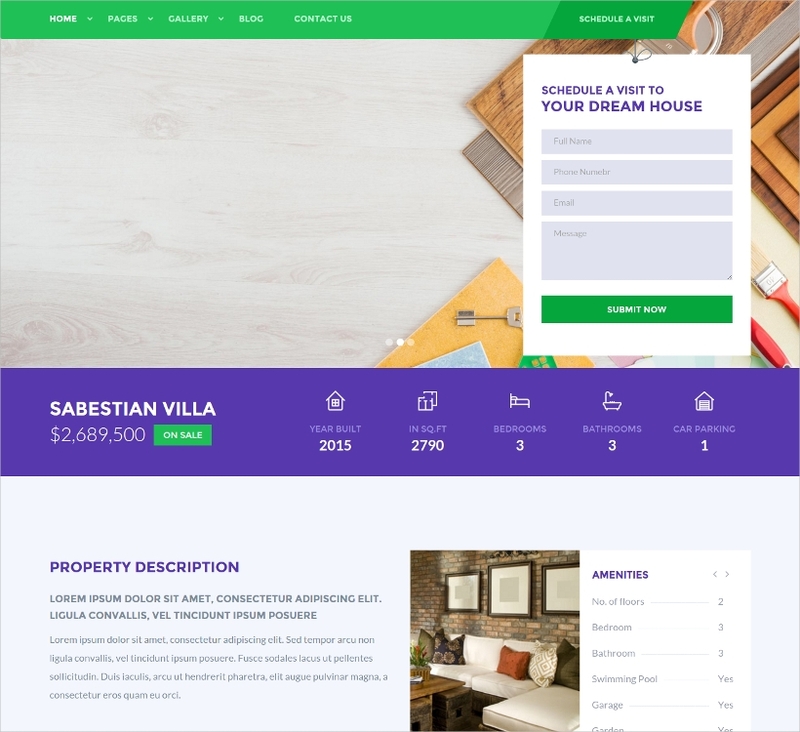 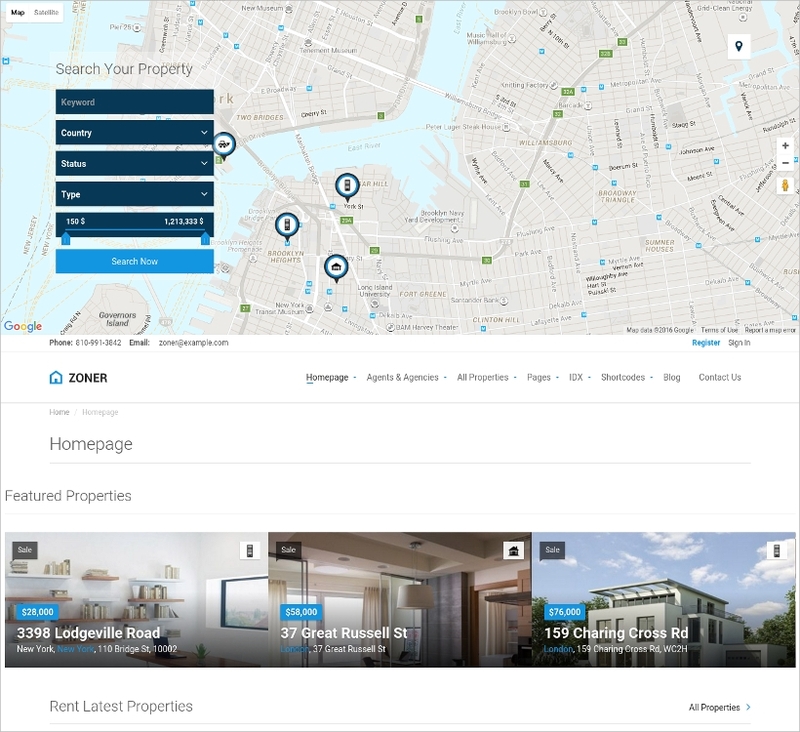 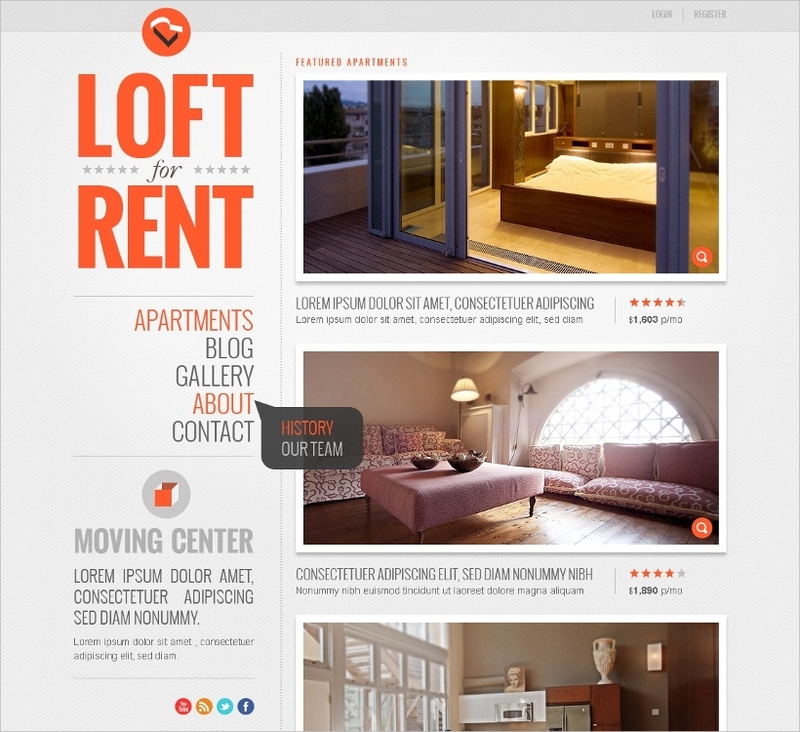 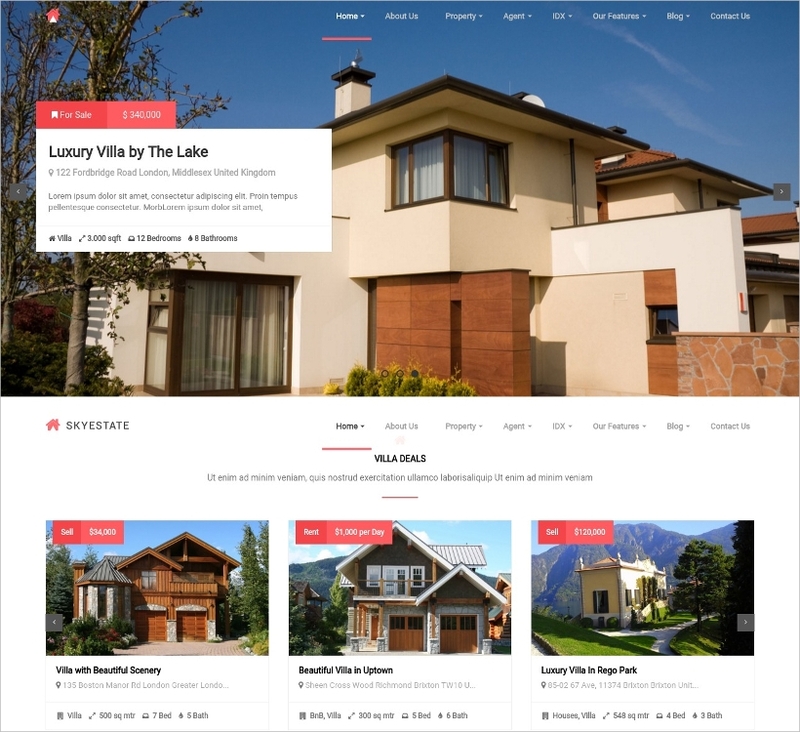 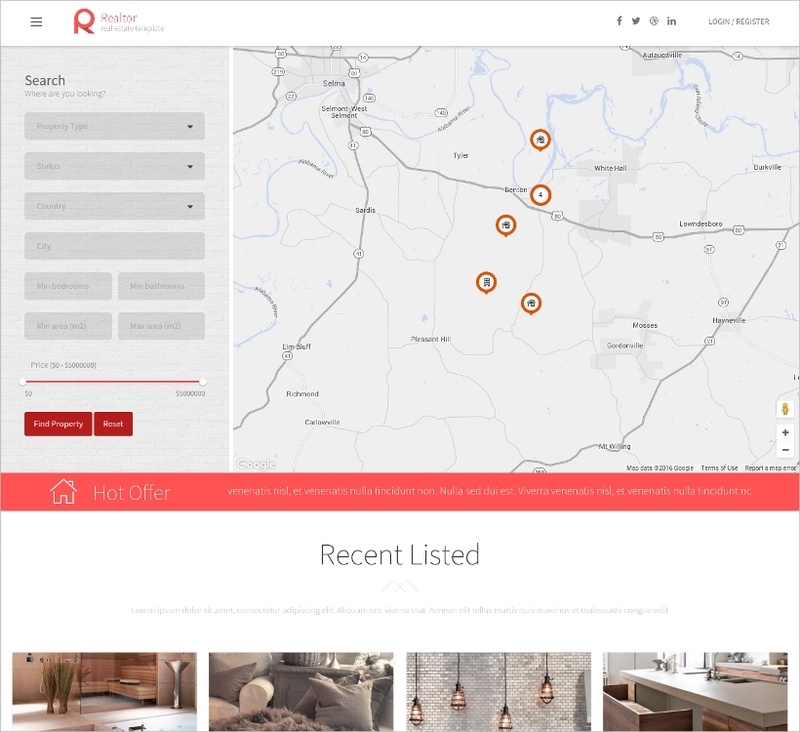 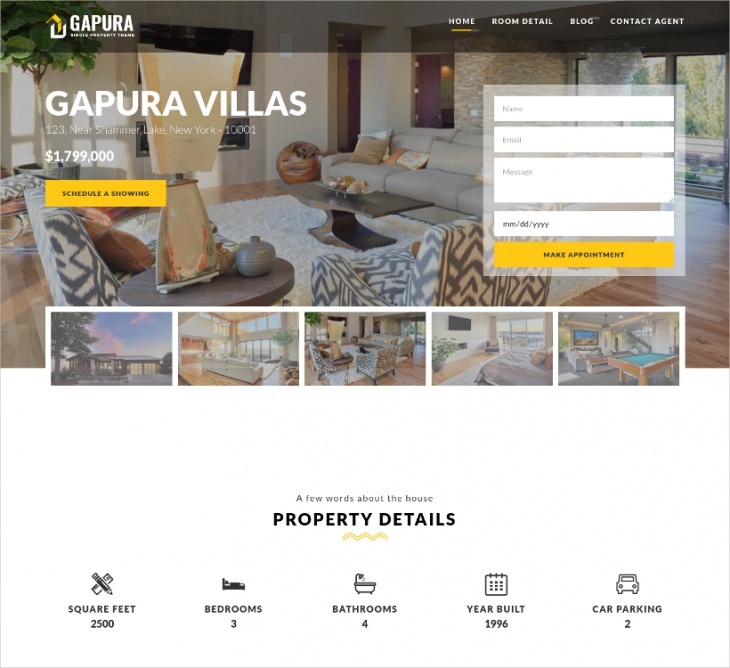 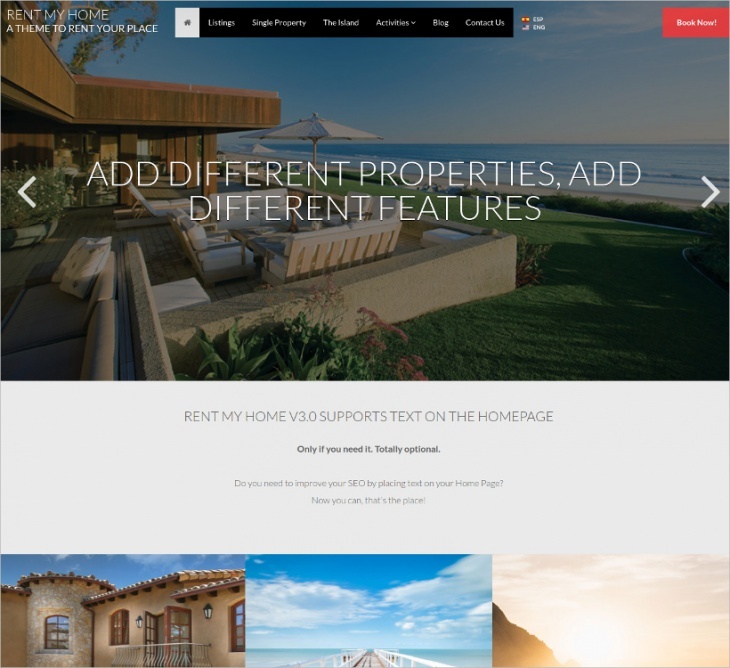 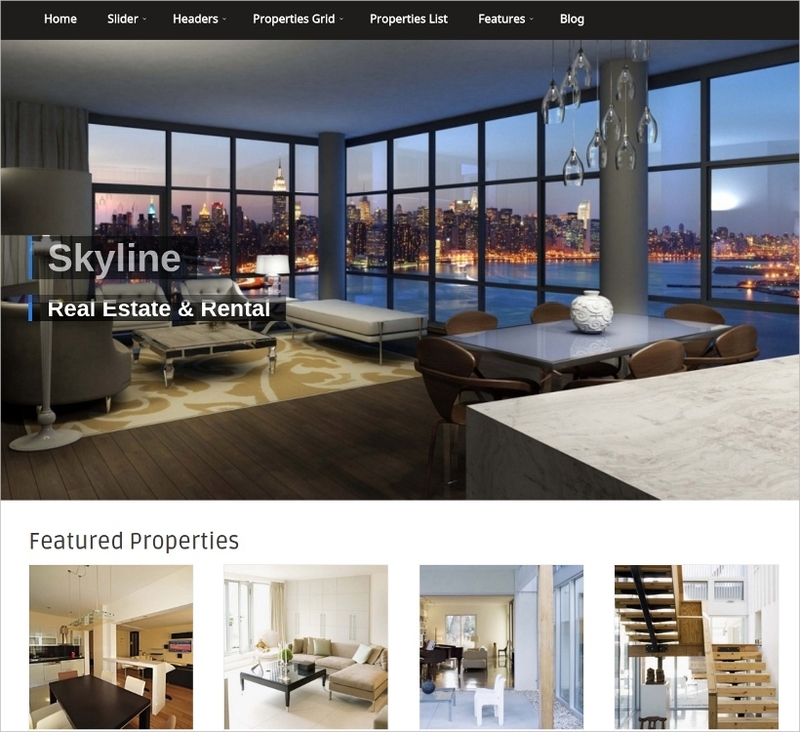 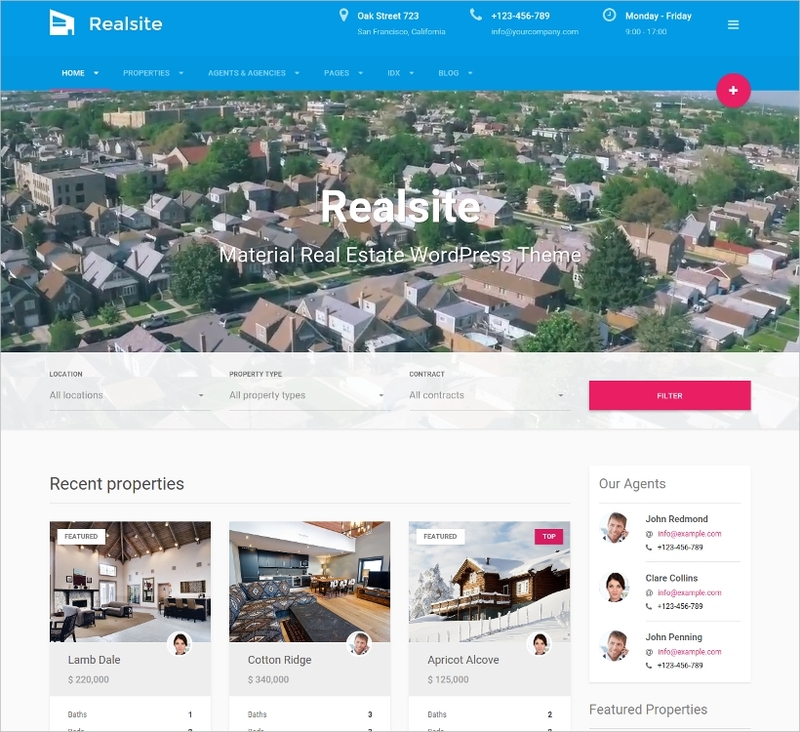 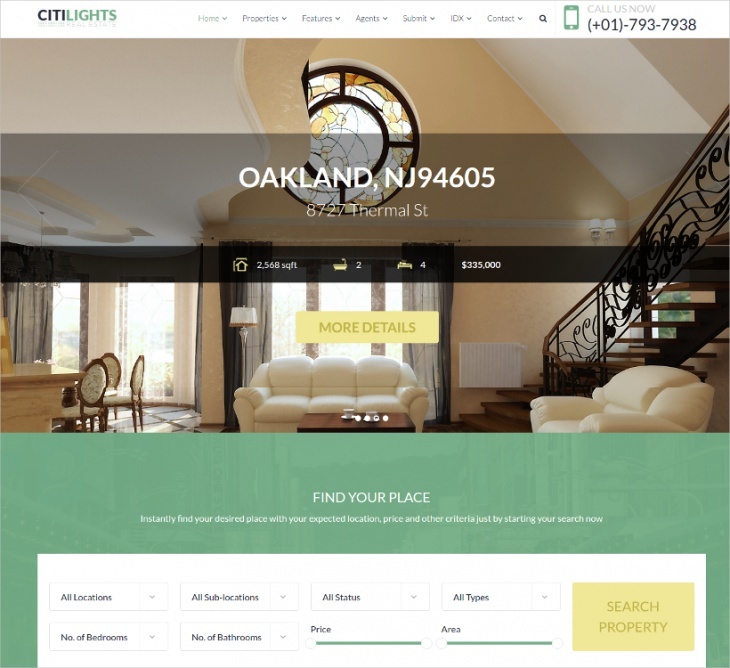 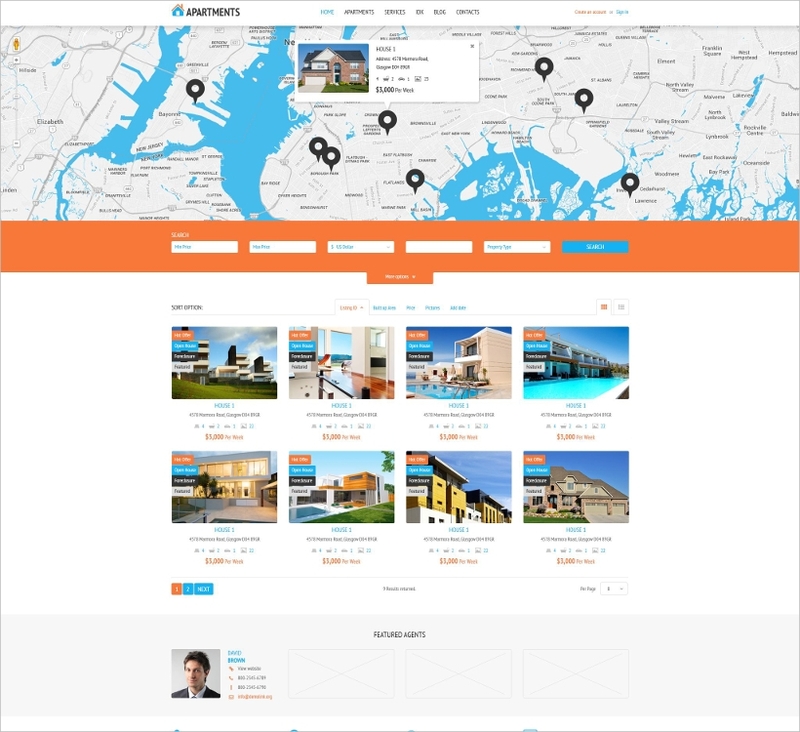 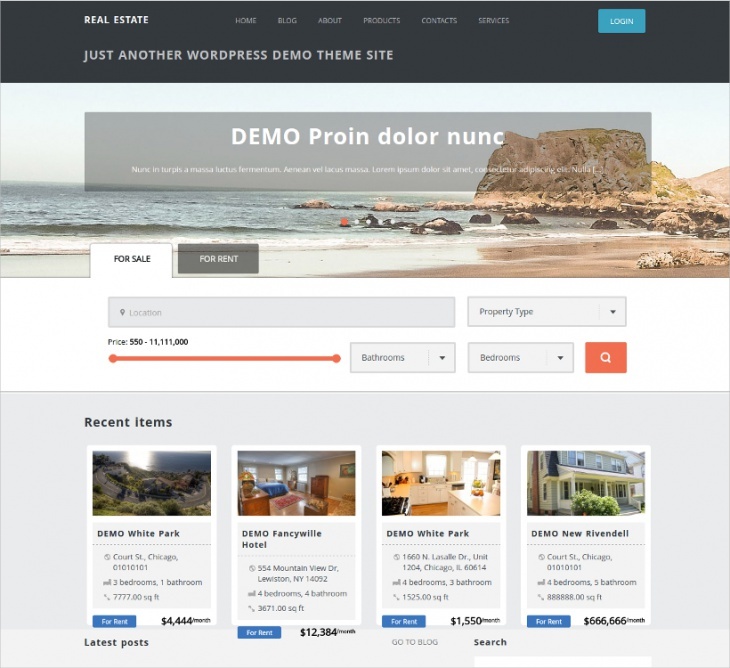 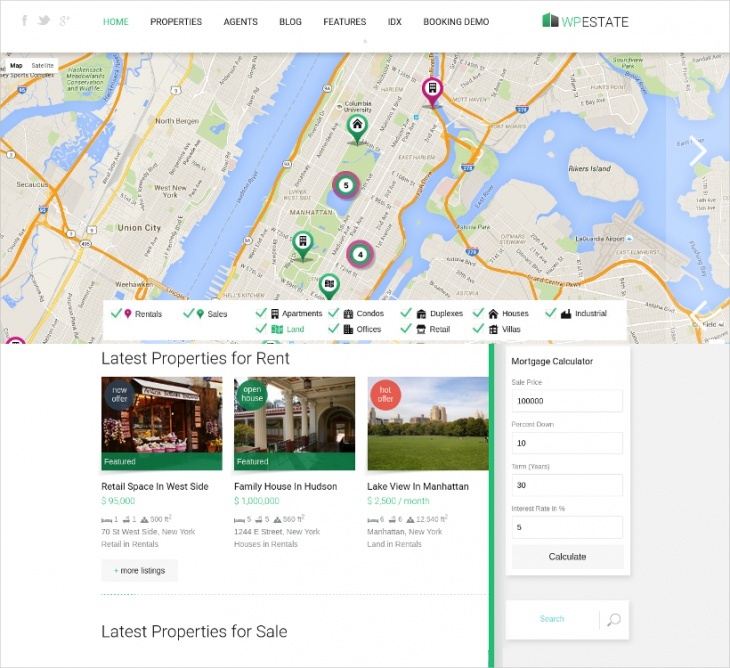 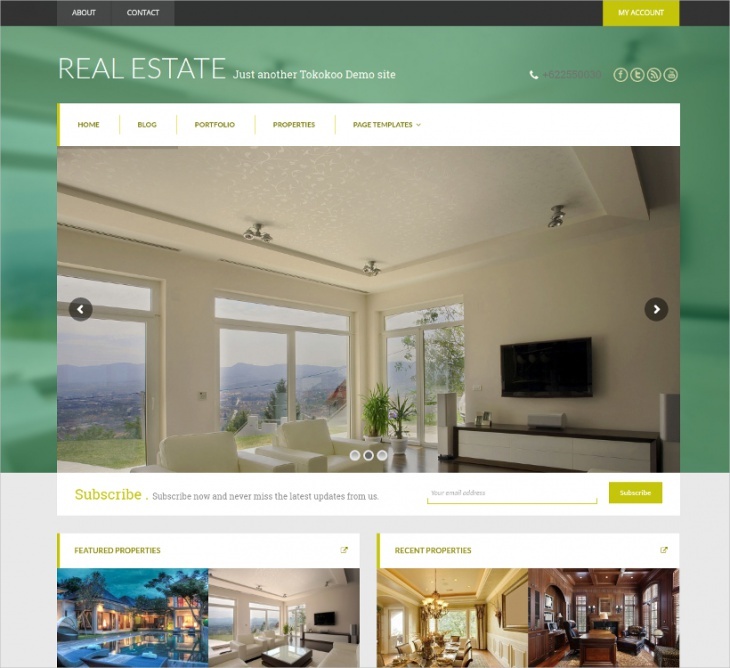 This is a premium quality real estate theme which really sits well with any business in the real estate domain. 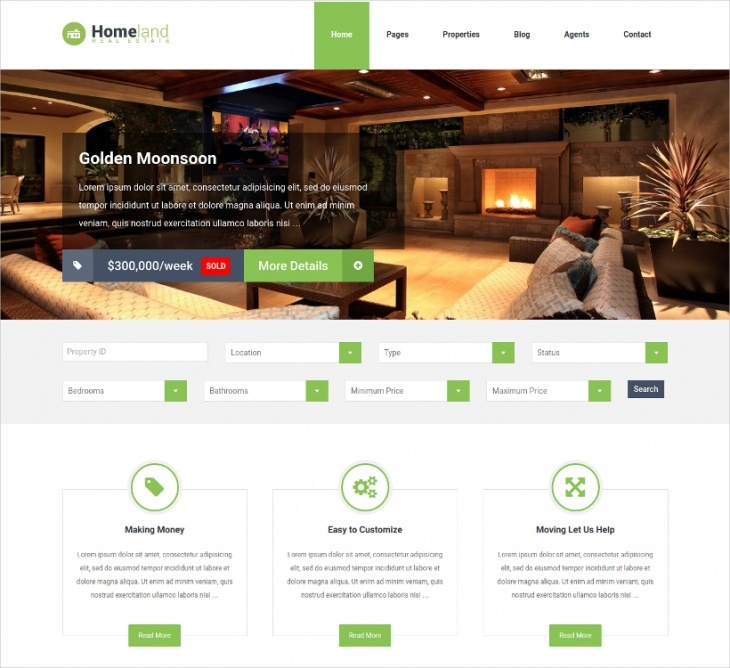 The fact that the theme is powered by a vast range of great features and options is one of its biggest strengths. 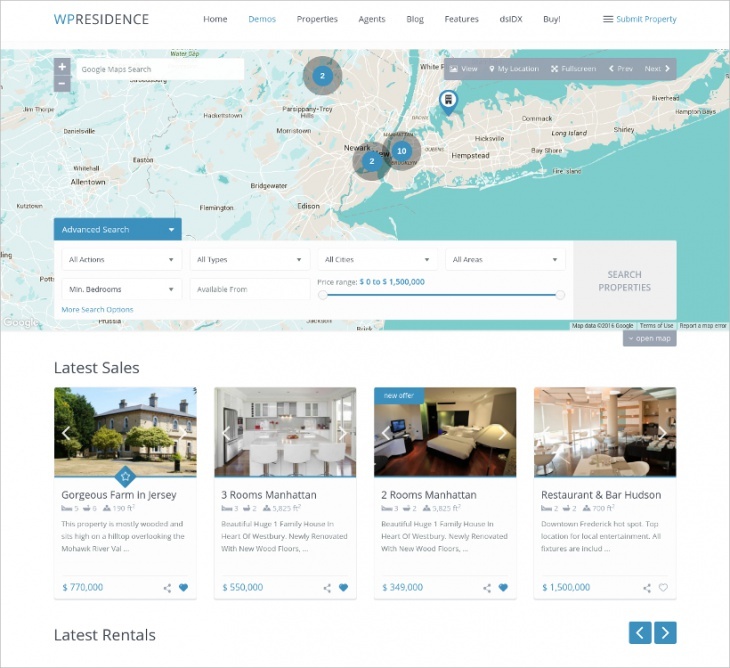 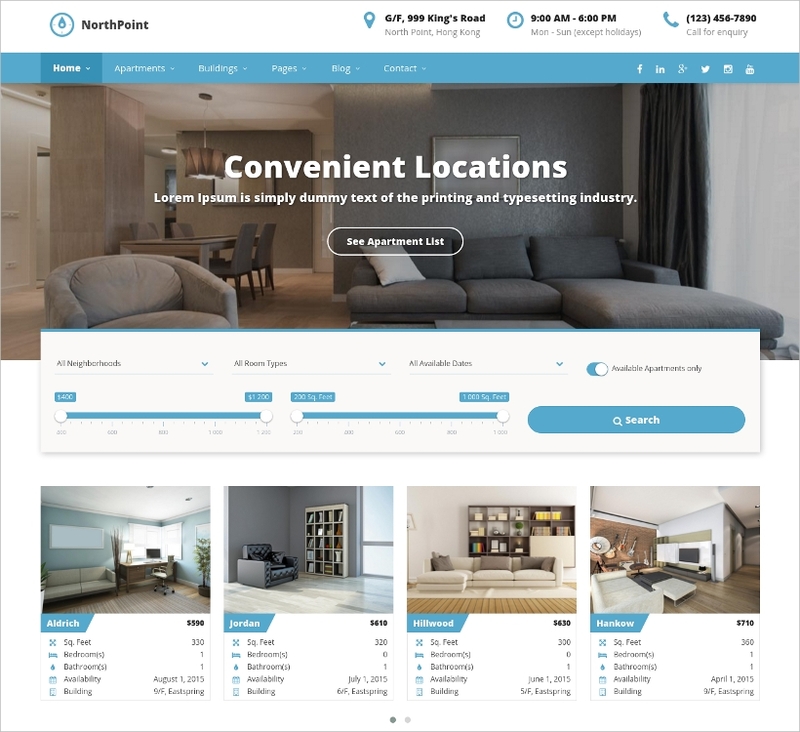 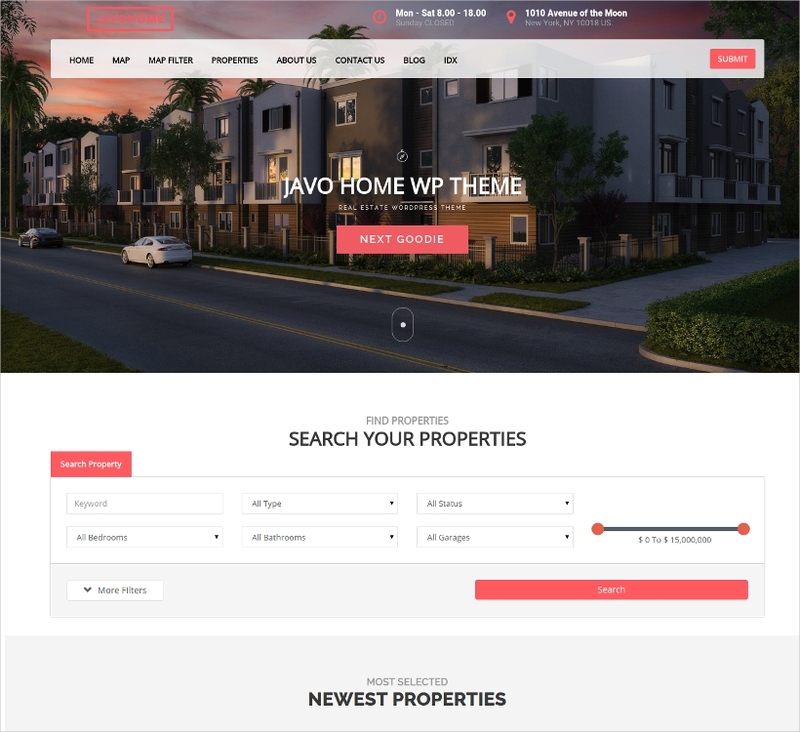 In the features bracket, this theme has got advanced property search functionality which can be customized by way that you get to select that search fields which you’d like to get displayed on the website. 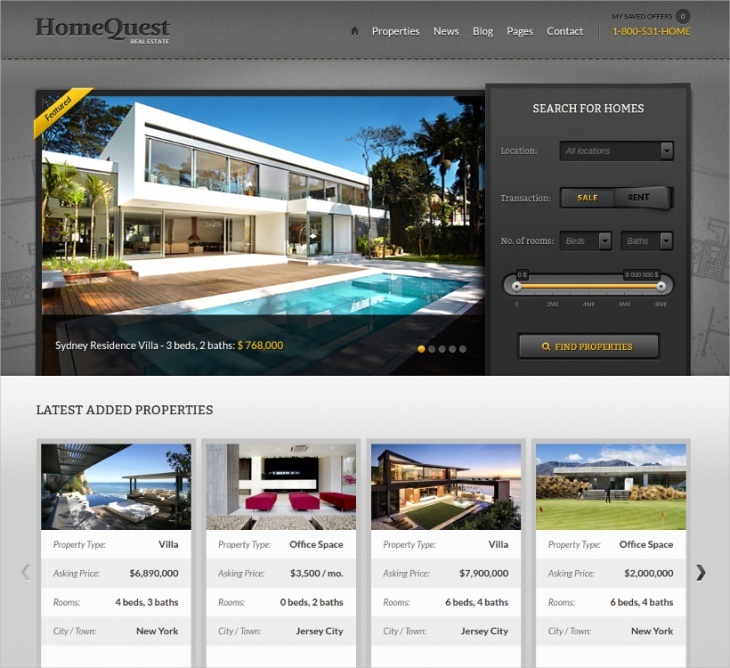 You can provide multiple specifics which will then dictate the search behavior accordingly. 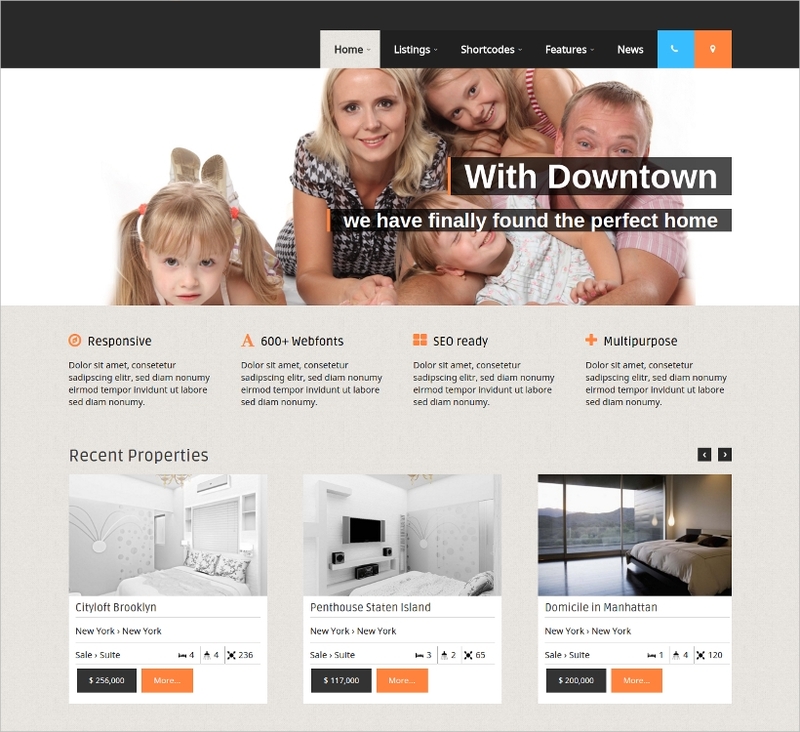 Needless to add the theme is fully responsive and performance optimized. 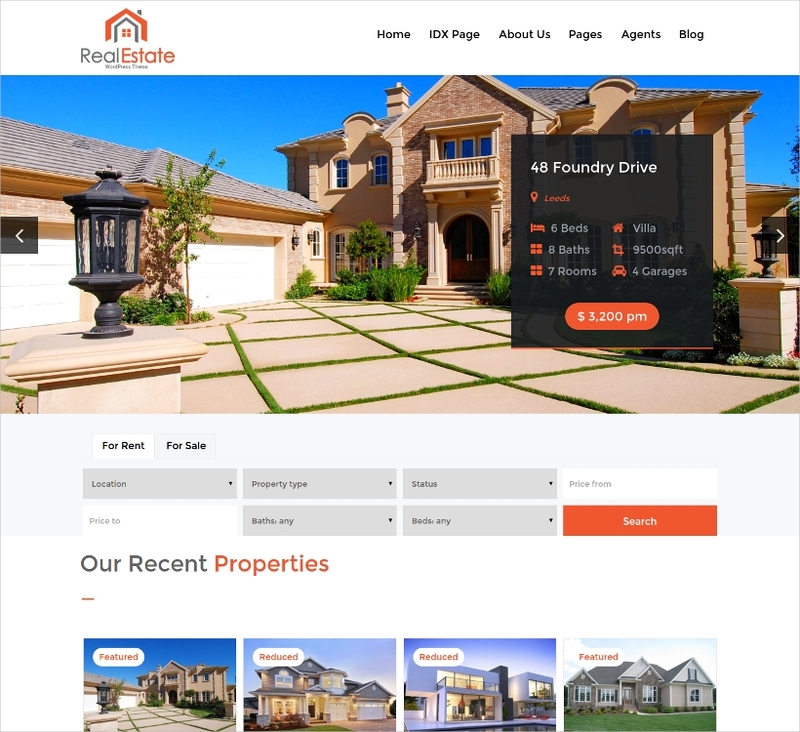 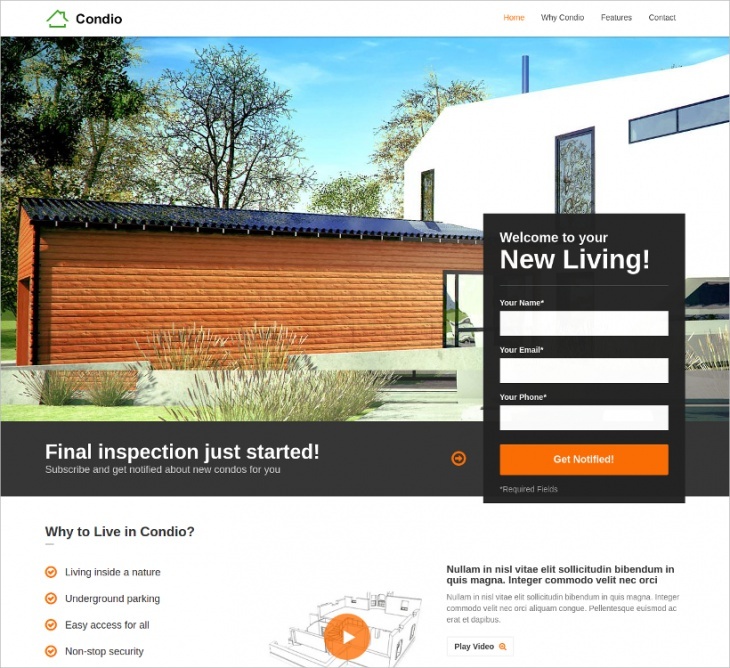 This is a real estate theme which is developed to be flexible and presentable. 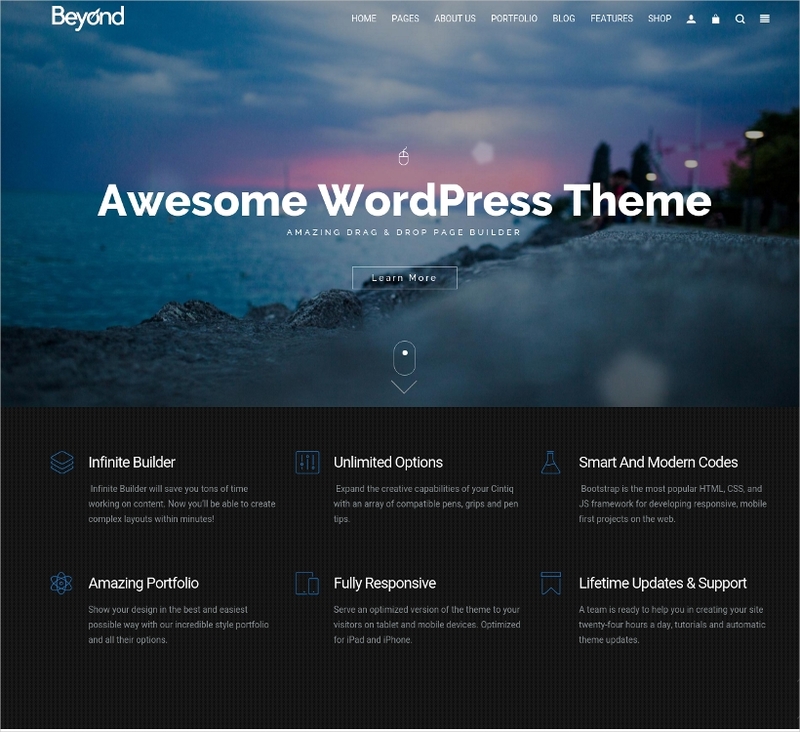 It has a ton of great features which make it one of the bestsellers in the themes category these days. 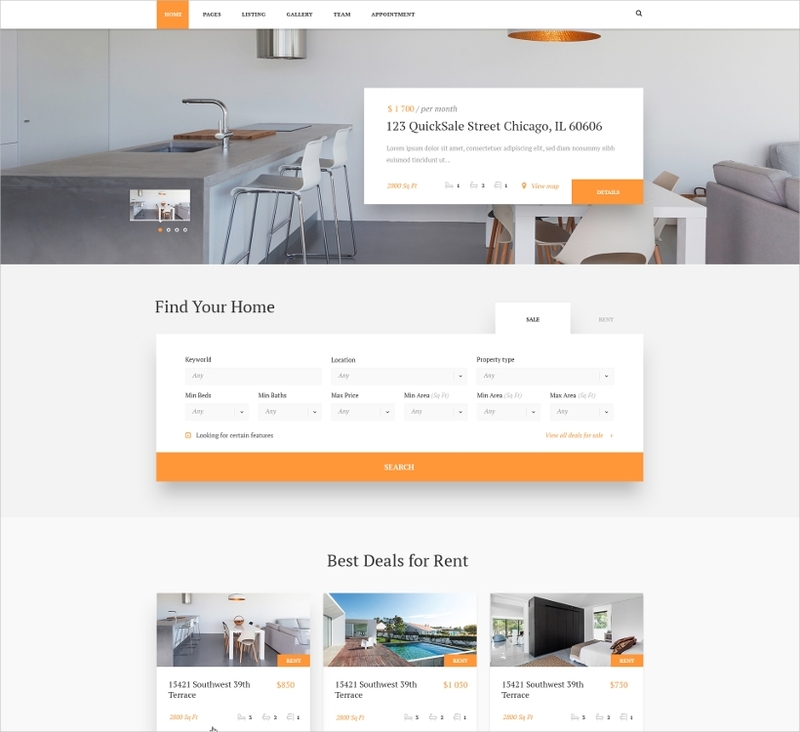 This theme has widgets which have multiple options, the Search option is very simple and designed in such as manner that it is functionality-oriented. 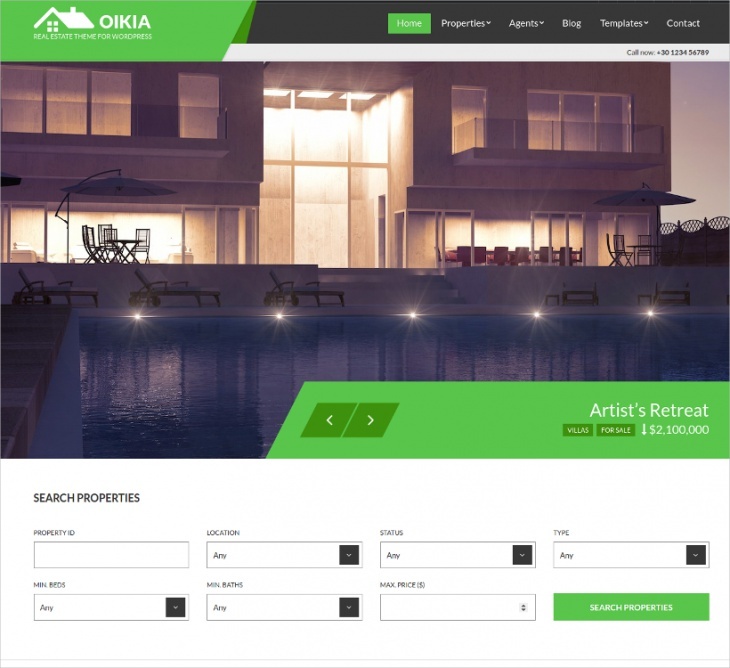 The search listings are well organized: agents categories, listing map, gallery, etc. 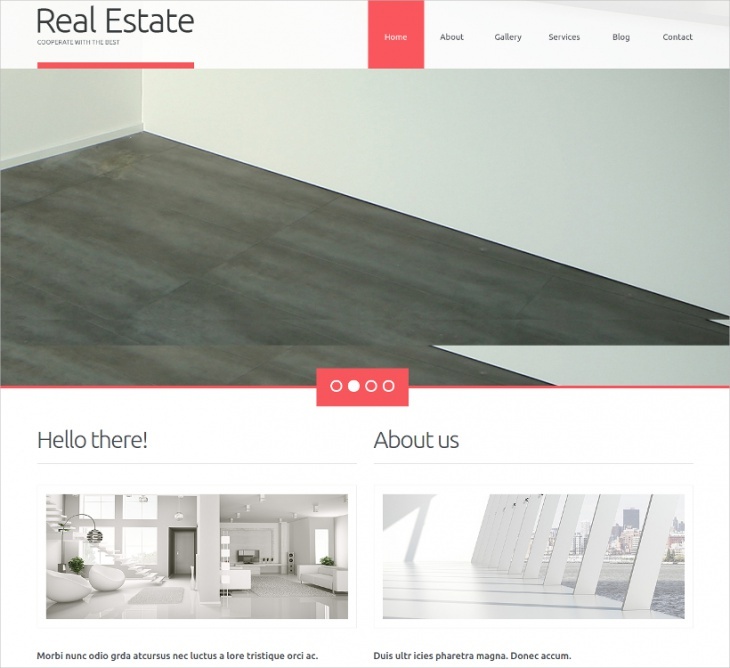 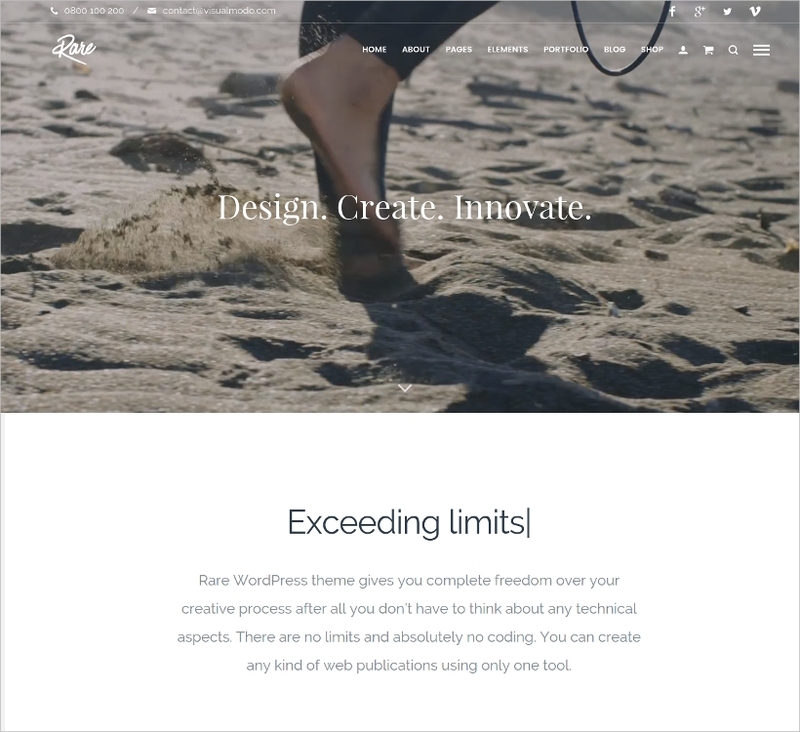 The theme also offers a fully responsive design along with a full width slider. 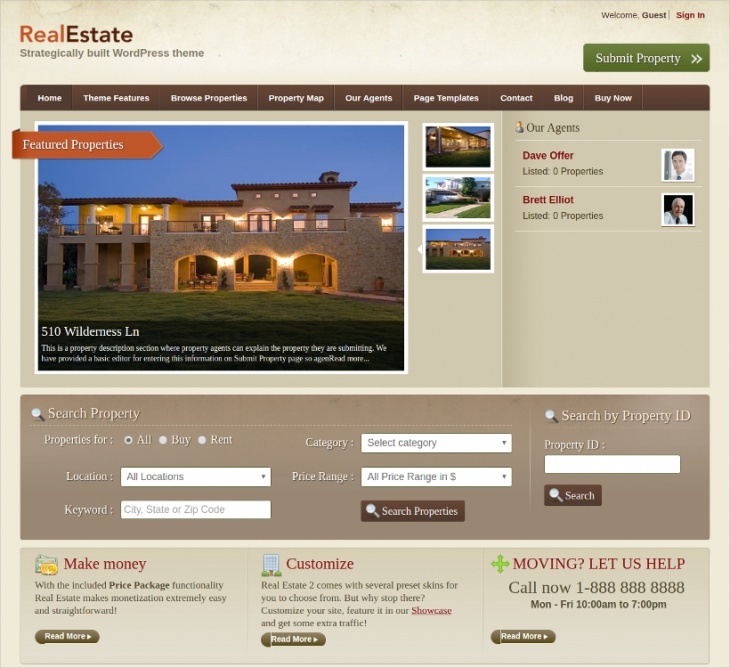 The dashboard is user friendly and consists of a big array of options in every category. 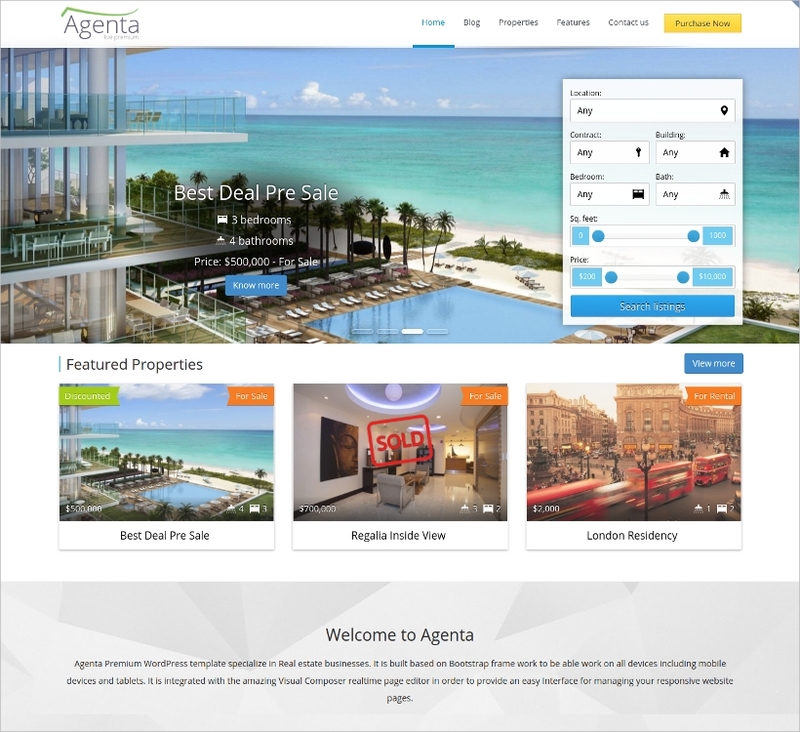 Apart from that, there are a few real estate themes which even allow users to transact and book an apartment as well.